In mid-September, as the Malden eruv extension neared completion, excitement grew in the local Orthodox Jewish community, especially in the Goldberg home. The new, larger eruv would include the five-bedroom brick Mansard where Sam Goldberg, his wife, Ellen Zagorsky Goldberg, and three of their four daughters live. Finally. And once inside the eruv, the Goldbergs knew their home and neighborhood would be more accessible to other members of the Orthodox community, especially families with young children. At the intersection of religion and real estate, the eruv is a ritual enclosure vital to many Orthodox communities. Jewish law prohibits carrying objects between private and public spaces on the Sabbath. With boundaries formed largely by common telephone wires, existing fences, and hay-baling twine strung between utility poles, an eruv encircles private and public spaces and creates one large private domain in the eyes of observant Jews. Inside this larger private domain, the eruv area, members of Orthodox communities can carry house keys, push wheelchairs and strollers, and pick up babies on the Sabbath, though prohibitions against activities like using electricity, talking on cellphones, and writing remain in place. 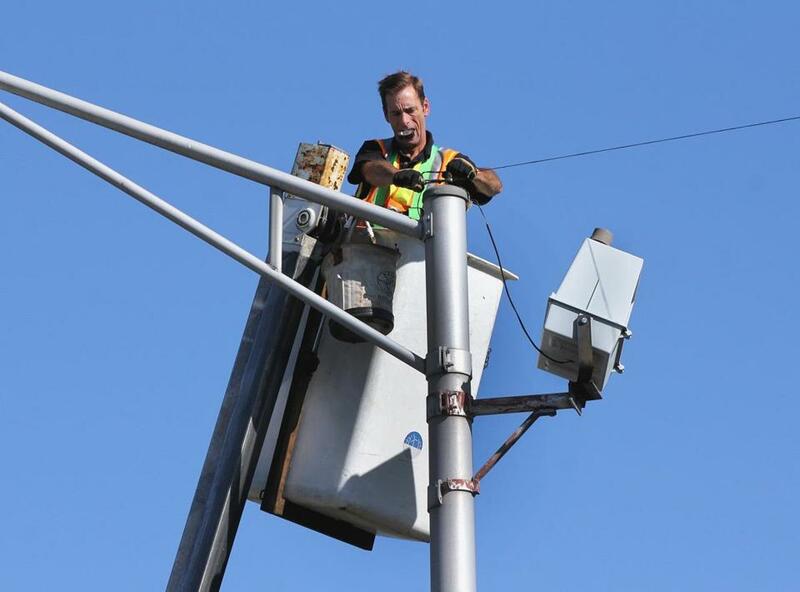 Dan Strom attached plastic twine to a light pole to create an Eruv on Fellsway West in Malden. Whether buying or renting, a location within an eruv is often nonnegotiable for religious families the way a home near public transportation is often nonnegotiable for families without a car. In both instances, it comes down to quality of life. Since a home inside an eruv is a quality-of-life requirement for many Orthodox families, they place a higher value on those properties. The potential difference in selling price between a home inside an eruv and one outside can be around 10 percent, according to real estate agent Susanna Stiefel with Pathway Home Realty Group. Still, it’s hard to put a price on the freedom of movement an eruv offers observant Jews. 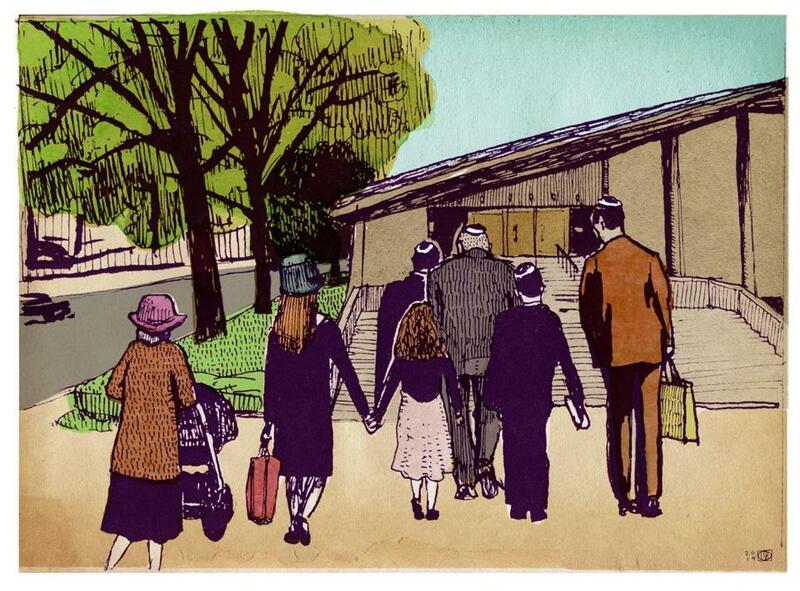 If an Orthodox family resides outside the local eruv, the Sabbath can be an isolating time rather than a communal respite from work with services, shared meals, and long conversations. The family can find itself essentially housebound from sundown Friday until nightfall Saturday, especially when there are young children who need to be carried or pushed in a stroller. For 11 years, the Goldbergs lived one block outside the original Malden eruv and dealt with the challenges it presented their young family. When the Goldbergs made an offer on the property they now call home, they consulted a map and Jewish community members and thought it would fall within the yet-to-be constructed Malden eruv. But after their offer was accepted, the local rabbi called with bad news: It was outside the eruv. “My heart fell,” Zagorsky Goldberg said. The couple explained the situation to the seller, and he allowed them to back out of the deal. Then, over a long winter in a two-bedroom Brookline apartment with three children, the Goldbergs thought more about the house they loved in Malden. They called the seller and asked whether he still wanted to sell. He did. And the two parties struck another deal. The choice the Goldbergs made and the length of time they lived outside an eruv are uncommon. Eruv planners try to be as inclusive as possible of the real estate near Orthodox synagogues that is most attractive to observant Jews. Plastic twine was strung from one light pole to another to enlarge an Eruv over Fellsway West in Malden. Describing the decision-making process behind where and when an eruv is built, Jesse Hefter, president of the Greater Boston Eruv Corp. , said, “It’s a chicken-and-an-egg thing.” Sometimes Orthodox communities construct an eruv to attract more observant Jewish families. Other times an increase in observant Jewish families in a particular area necessitates a new or larger eruv. “For a long time now, we’ve been trying to attract new people,” said Matthew Garland, executive director of Congregation Beth Israel in Malden. “One of the biggest hurdles the past few years was the availability of real estate in the eruv. 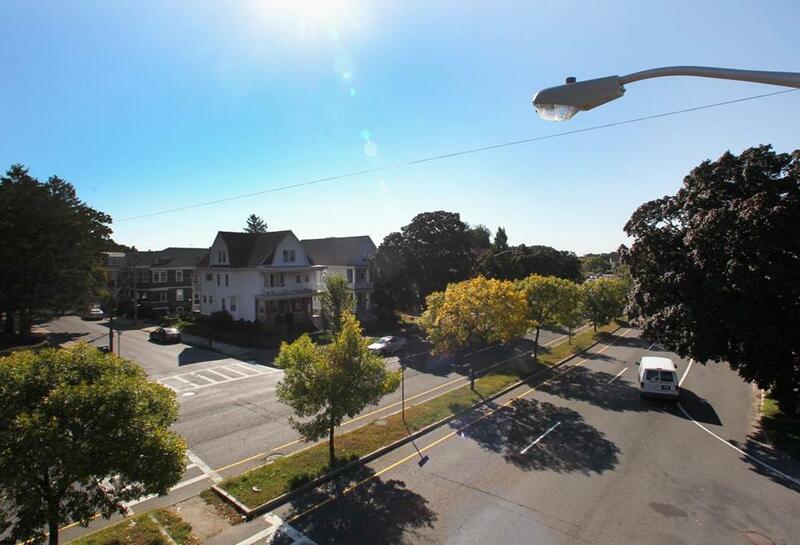 “The [original] eruv in Malden was about one square mile, a relatively small area to find housing in, particularly for people who want to buy and settle down more long term. By expanding into the Edgeworth neighborhood, we effectively doubled the available real estate, which will make it easier for people to find homes. We also increased the affordability of real estate because properties in Edgeworth are more affordable than properties in the West End” inside the original eruv. The Boston area’s largest eruv includes parts of Boston, Brookline, and Newton and dates to 1993. At roughly 18 square miles, it is one of the largest in the country. Since the Boston-Brookline-Newton eruv encompasses such a wide swath of land, some local real estate agents don’t see the enclosure as much of a selling point. If it were smaller, it might be. “The way the Greater Boston eruv was built and designed, because it’s one giant, inclusive eruv covering the logical places to live for Orthodox families, it doesn’t really affect where people search,” said Joan Solomont, a Brookline-based Coldwell Banker broker who is Orthodox. Observant Jews want to live within reasonable walking distance, usually within a 1-mile radius, of their synagogues because they cannot ride anywhere on the Sabbath. For the most part, Orthodox places of worship in Boston, Brookline, and Newton sit well within the boundaries of the eruv. So, a mile in any direction still places a property inside the enclosure. Smaller suburban eruvim (the Hebrew plural) exist in Malden, Sharon, Waltham, Cambridge, and Somerville. Soon, there will be a large eruv on the North Shore, encompassing parts of Swampscott, Marblehead, and Salem. To do that, Hefter incorporates existing physical structures into the boundary as often as possible, including chain-link fences, utility poles, and the natural topography. For example, the Boston University Beach, the grassy hillside that runs along Storrow Drive on the north side of campus, has a slope sufficient to be considered wall-like under Jewish law. Additionally, the eruv corporation uses thin black twine and narrow tubing to construct boundaries. Typically, the twine hangs at a height close to that of common utility wires, and the tubing runs vertically along poles. But because the boundaries are made as inconspicuous as possible, sometimes Jewish buyers are uncertain which properties fall inside the enclosure, especially if they are new to an area and the home in question stands near the border. Moving from Malden to Sharon, the Vogel family found themselves in a situation similar to the Goldbergs. The Vogels made an offer on a house on Deborah Sampson Street and thought the property was inside the Sharon eruv. Soon after they submitted the offer, the Vogels learned that the four-bedroom raised ranch was not. The house next door was. An Orthodox rabbi in Sharon, Meir Sendor, told the Vogels that the eruv could be extended to cover the home they wanted to purchase, but the couple worried it might not be that simple. When they were outbid, the Vogels were relieved. The planning, permitting, and financing for a new eruv or extension can take years. For all the enclosures it builds, the Greater Boston Eruv Corp. handles everything from getting permission for utility pole use to securing construction permits to negotiating agreements with private landowners. To satisfy Jewish law, before an eruv is approved for use, representatives of the Orthodox community receive a proclamation from government officials that allows observant Jews to use the area inside the enclosure for carrying on the Sabbath and holidays. With the document, authorities recognize that the Orthodox community will view the patchwork of public and private properties inside the eruv as one private domain. The original Greater Boston eruv took eight years to go from conception to completion. Meanwhile, the much smaller Malden extension was in the works for only one year. The final stages involved stringing twine between street lamps over the Fellsway on Sept. 18. Last week, as the Goldbergs and their fellow congregants celebrated Rosh Hashana , the new eruv extension signaled a Jewish community ready to grow in the new year ahead. Shira Springer is a Globe reporter. E-mail her at springer@globe.com and follow her on Twitter at @shiraspringer.